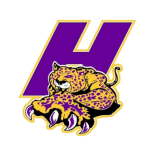 Six Lady Leopards were selected to the Hernando All-County team this past weekend. Gianna Huber, Bailey Burdin, Rachel Becker, Bricyn Wylie, Margaret Mary Steinkamp and Jessica Flaherty were those that were honored after the Leopards finished the season 14-7. 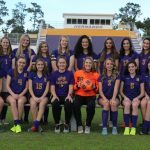 The Lady Leopard fell to Weeki Wachee 8-1. Gianni Huber scored the goal for Hernando. The Lady Leopards will travel to Gulf for a game this Friday.